Need some ideas for Valentine’s Day in Fort Lauderdale? Want to create a memorable day for someone special? Whether you are looking to plan something fun, adventurous, relaxing or romantic over Valentine’s weekend, you will find the perfect way to share your love on Fort Lauderdale Beach. From shopping to dining, boating to parasailing, and basking in the sun to relaxing treatments in the spa, you will be wishing there were more hours in the day to enjoy all the romantic things to do in Fort Lauderdale’s oceanfront backyard. Check out our list of Cupid-approved Valentine’s Weekend hotel, restaurant and attraction specials, and come fall in love on Fort Lauderdale Beach all over again. Warm your heart this Valentine’s Day weekend with special offers at Sonesta Fort Lauderdale Beach. Packaged rates starting at $384 per night, include an indulgent box of truffle chocolates, long-stemmed rose, and a bottle of sparkling wine upon arrival in their room, and daily buffet breakfast for two at Bistro, the hotel’s full-service restaurant, during their stay. For those looking for the ultimate romantic getaway, the hotel’s Spa Suite comes complete with an array of services such as bath soaks and couples’ massages. Offer valid from February 11th – 15th, 2016 and must be booked by February 5th, 2016. Those that run together stay together – at least for the 26.2 miles of signature Fort Lauderdale Beach’s miles of unobstructed ocean views. The fast, flat course is ideal for those looking for love or to achieve Boston qualifying times. If you’re searching for the ideal winter destination running event, and a future lifetime running mate, then look no further! 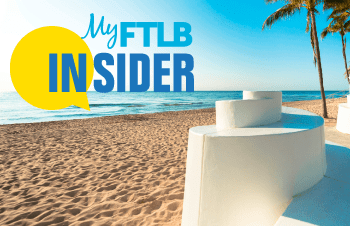 Run Fort Lauderdale….Where the Ocean is Your Finish Line!! Burlock Coat at The Ritz Carlton, Fort Lauderdale, Fort Lauderdale’s newest oceanfront restaurant, will be celebrating Valentine’s Day with a special four course prix fixe menu for $135 per person (excluding tax and gratuity). From 5 PM – 10 PM, guests can enjoy the restaurant’s modern-coastal fare and buzzing atmosphere. Fall in love amongst the lovely grounds of the private residence gifted by Hugh Taylor Birch to his daughter Helen and husband Frederic Clay Bartlett in 1919 as a wedding present. Whether you and your sweetie enjoy a leisurely self guided tour of the magnificent house and grounds, or partake in an art classes, concert or one of the many educational programs, love fills the air of this historic home.